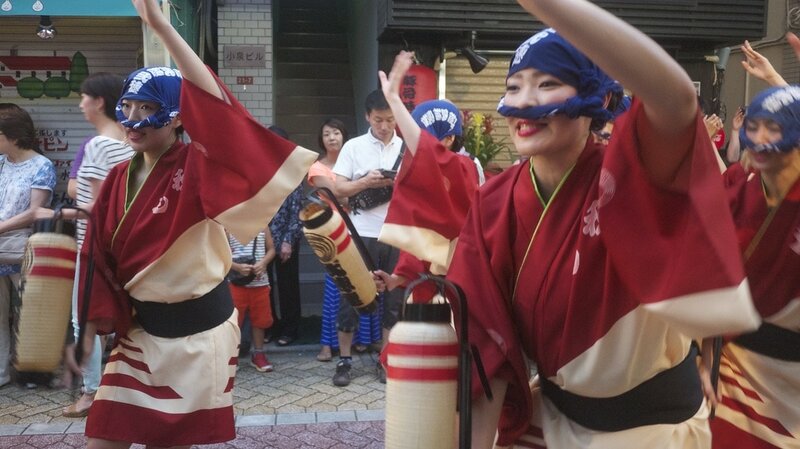 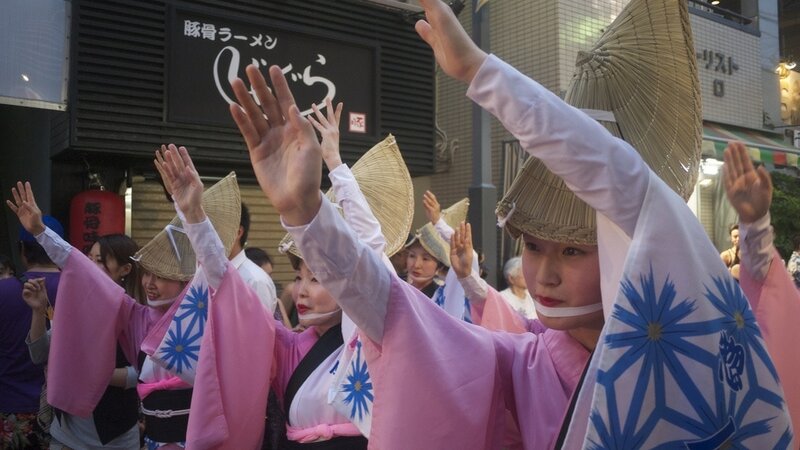 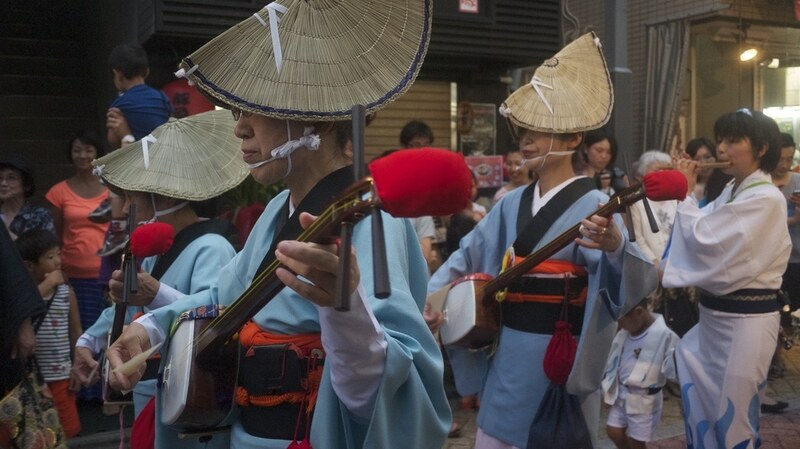 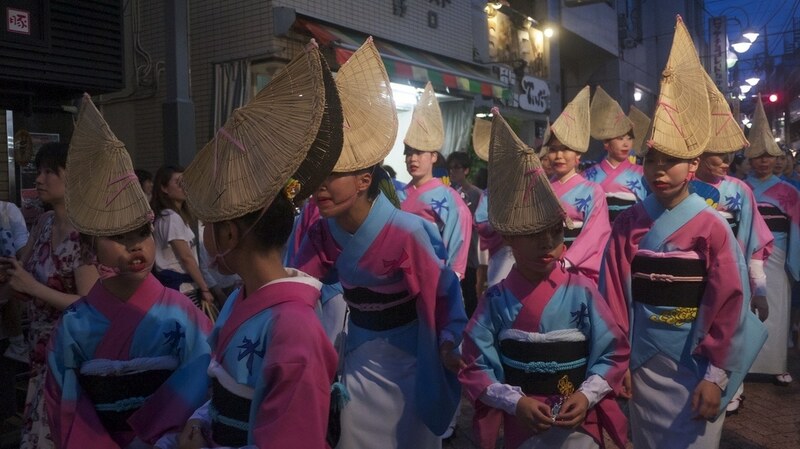 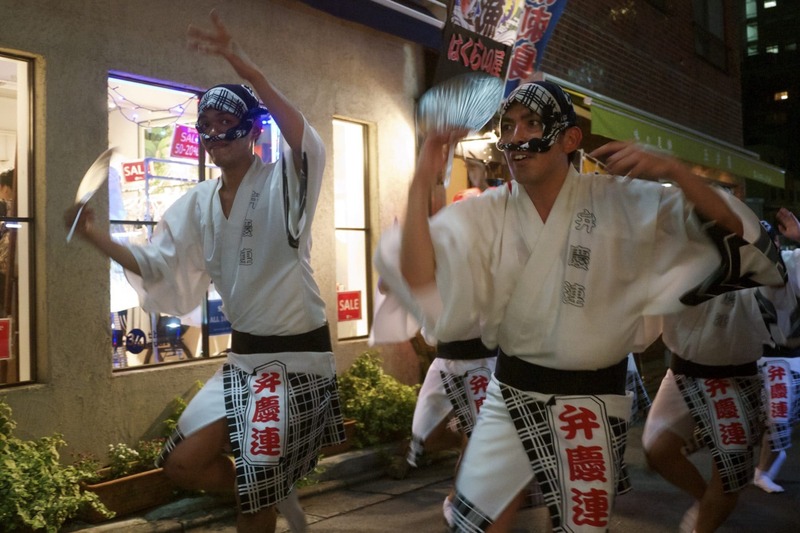 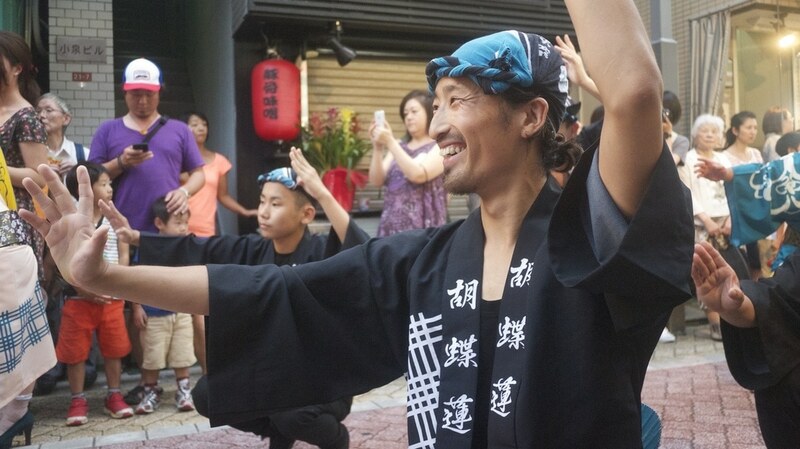 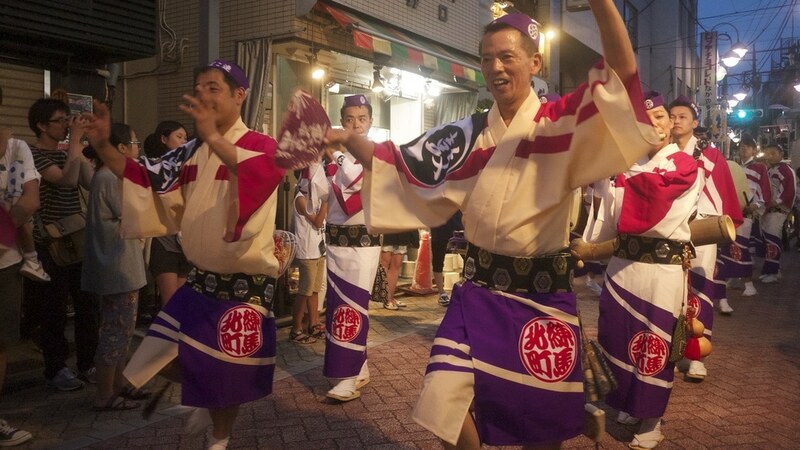 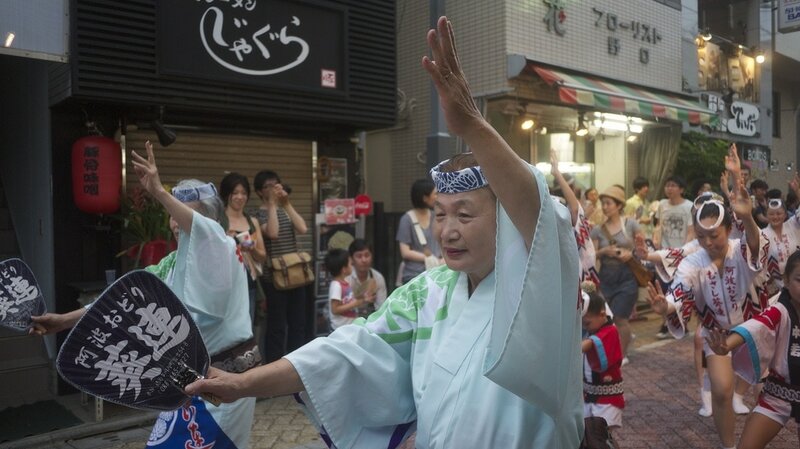 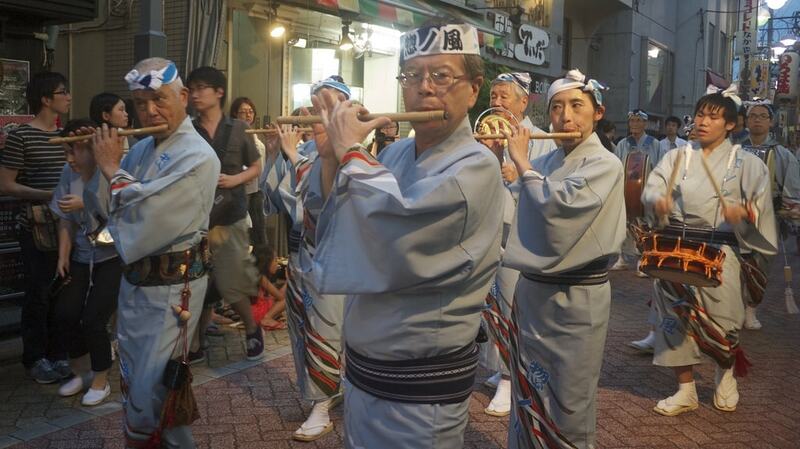 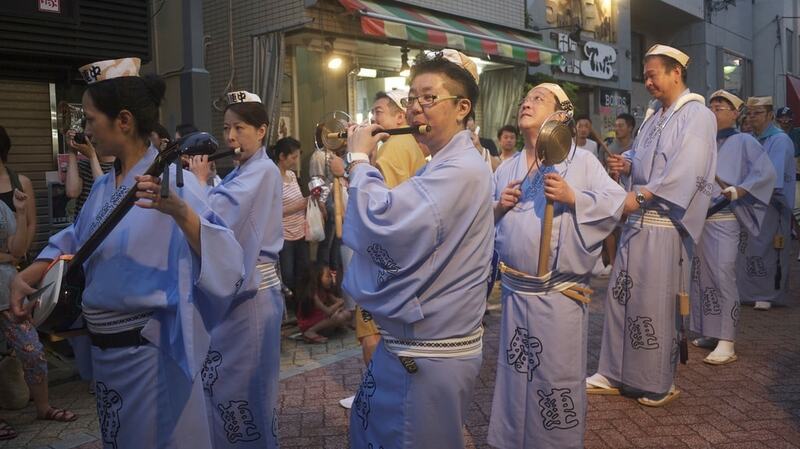 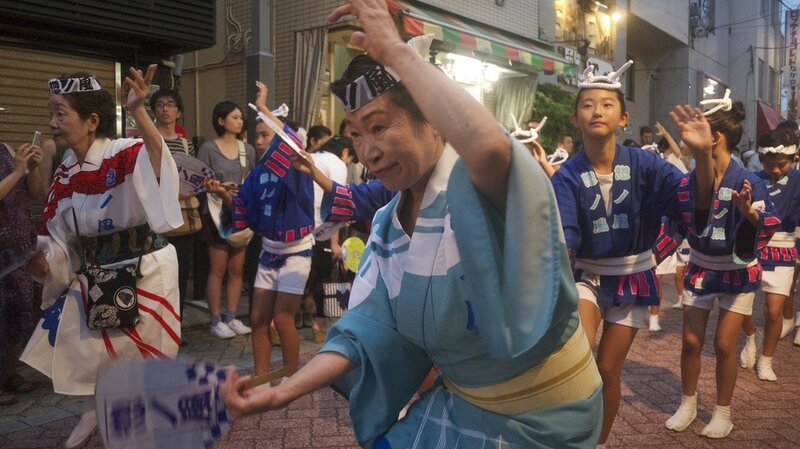 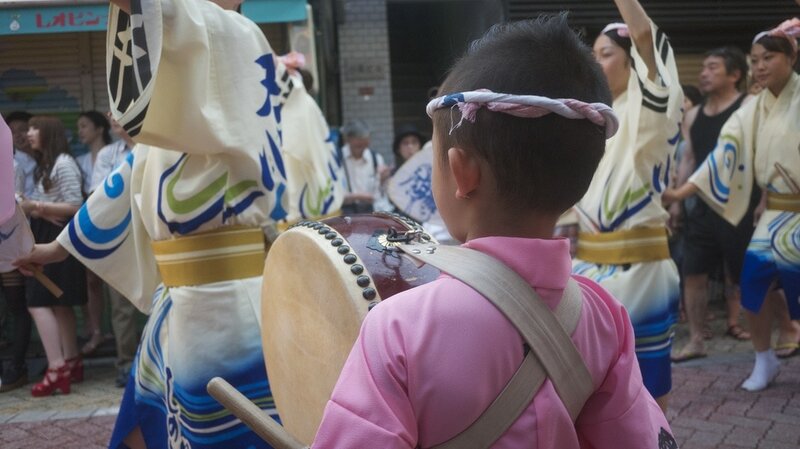 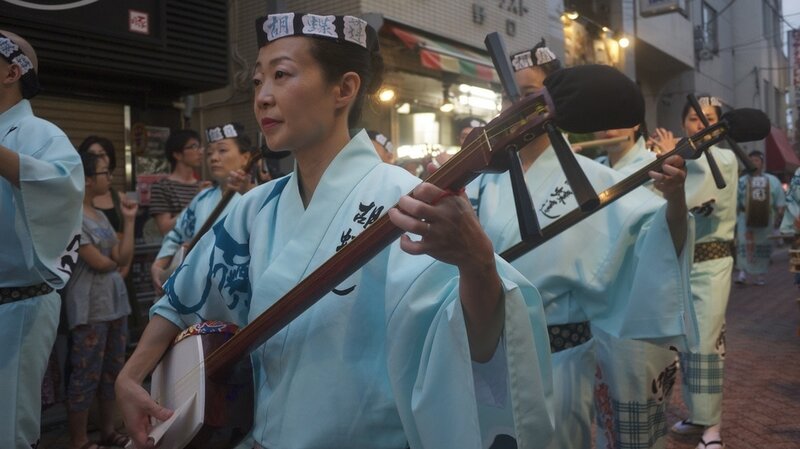 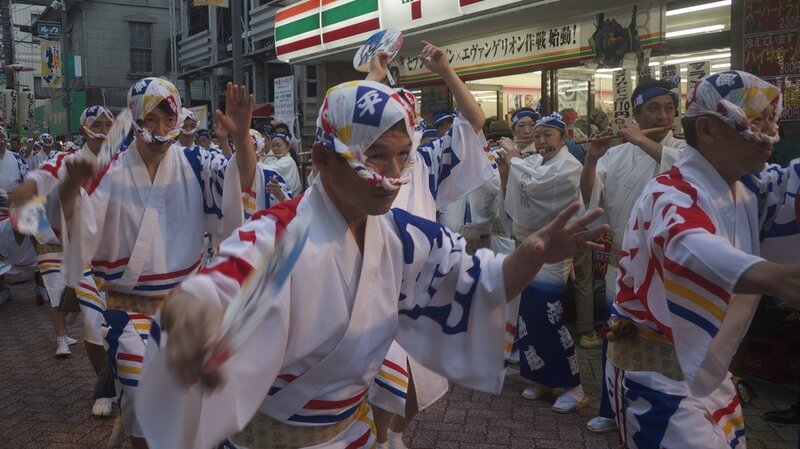 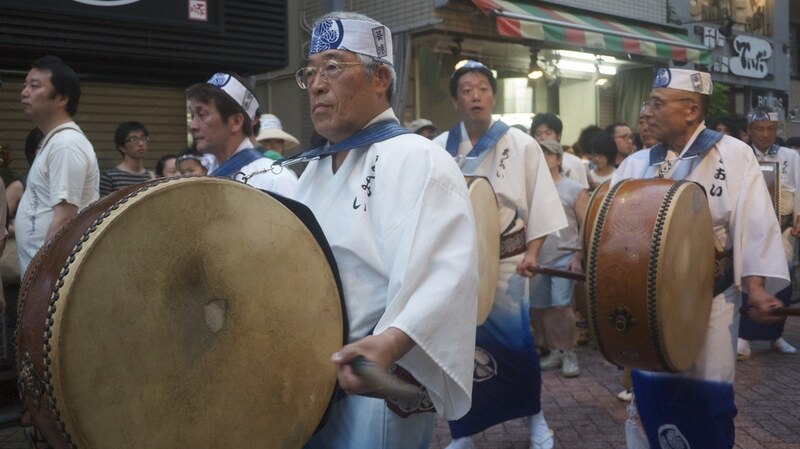 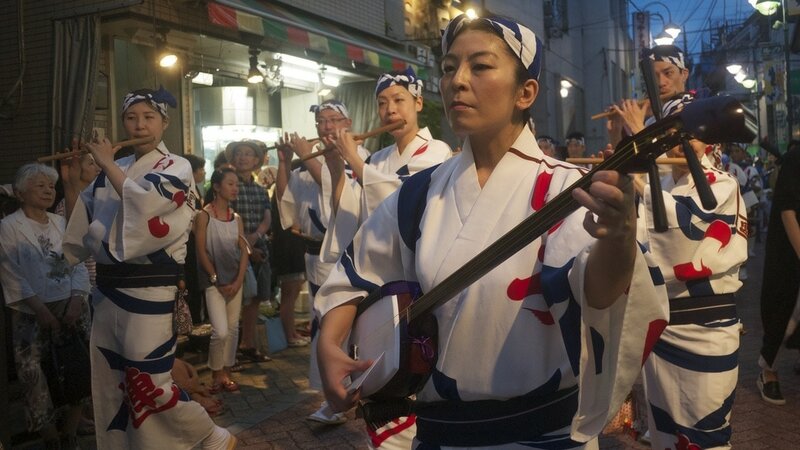 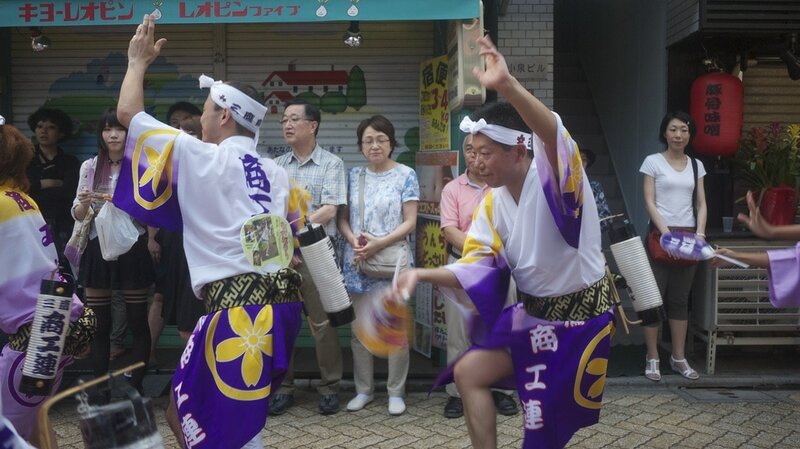 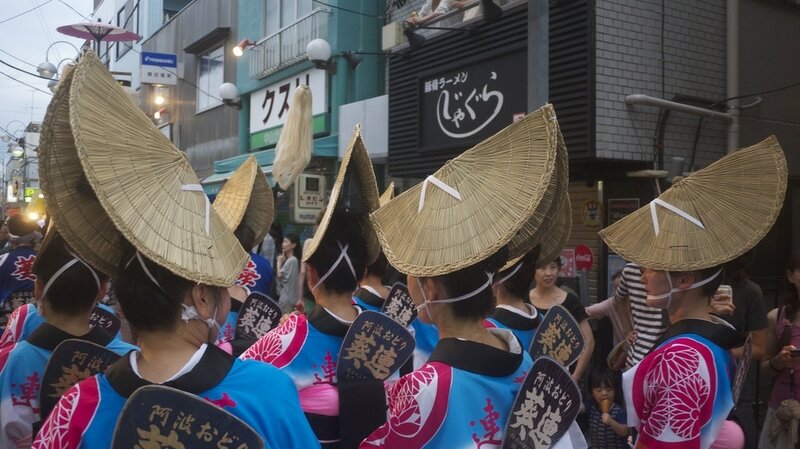 A week after attending the energetic Awa Odori dance festival in Shimokitazawa I was lucky enough to see it’s neighbour’s equivalent rendition in nearby Koenji (高円寺). 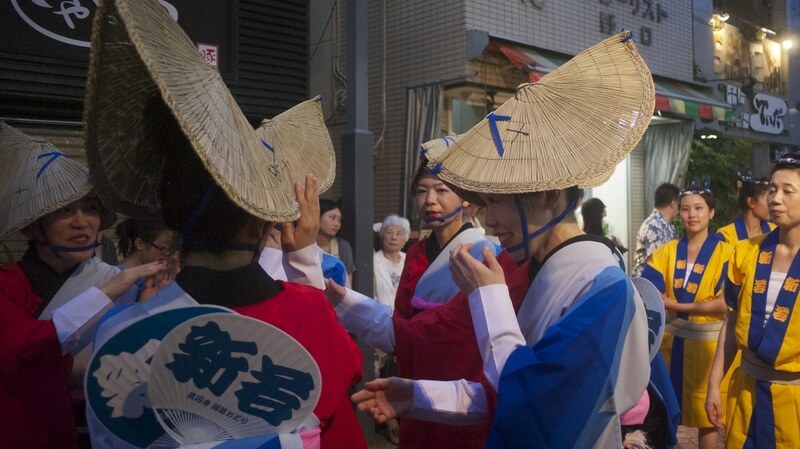 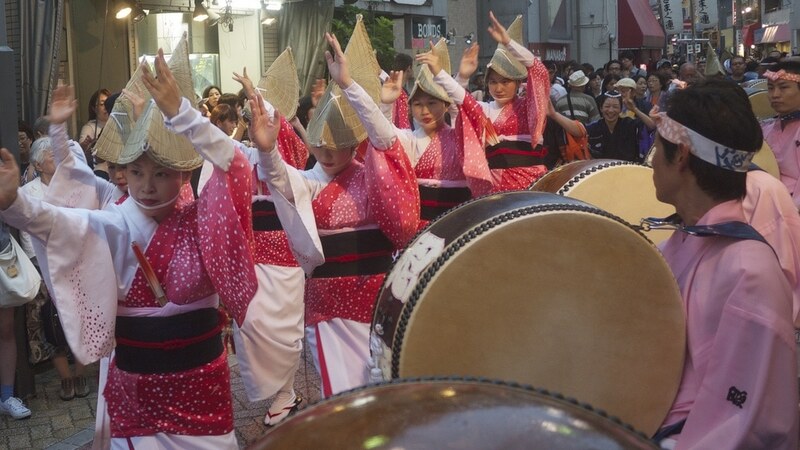 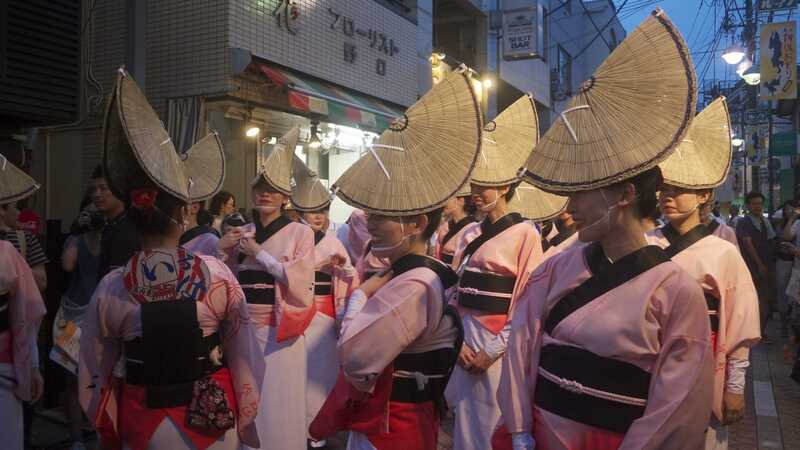 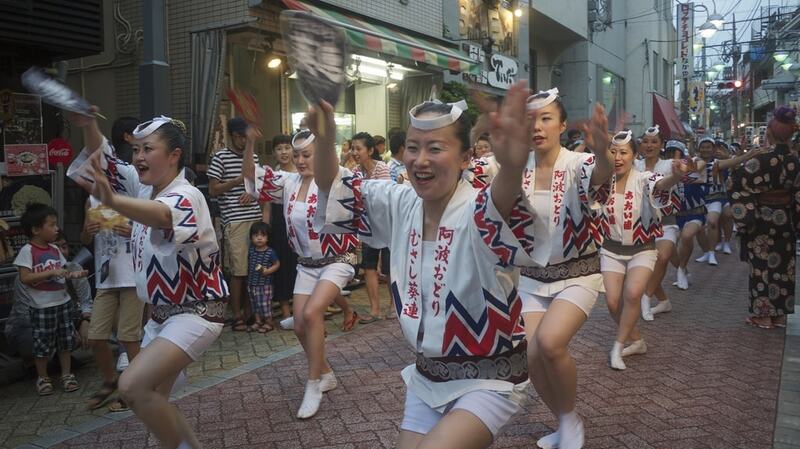 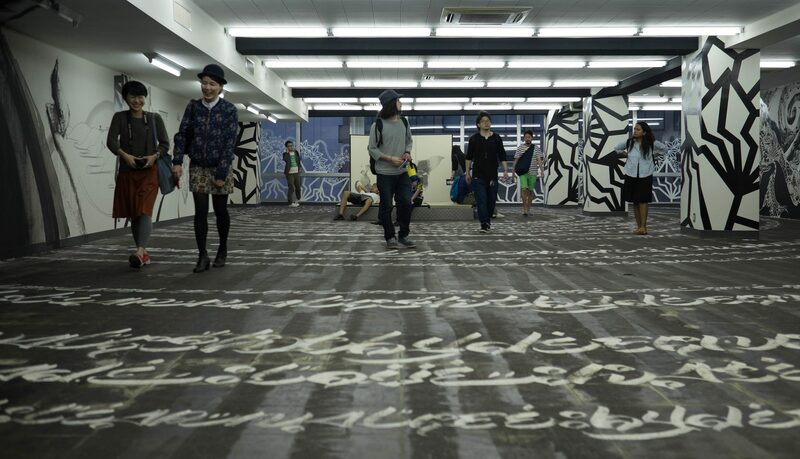 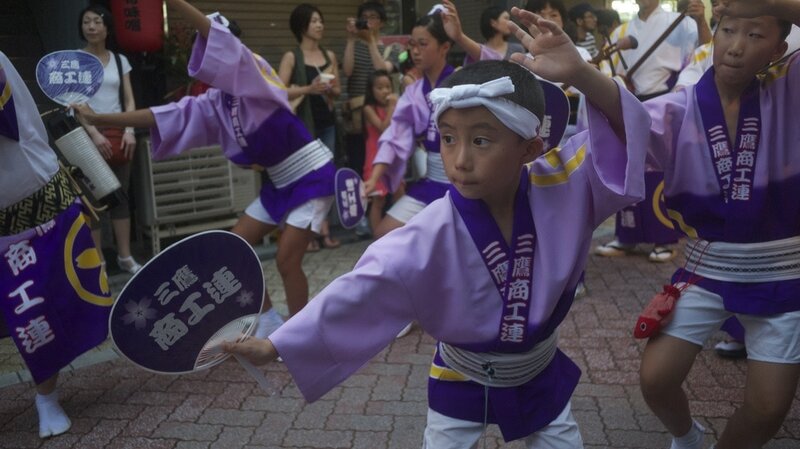 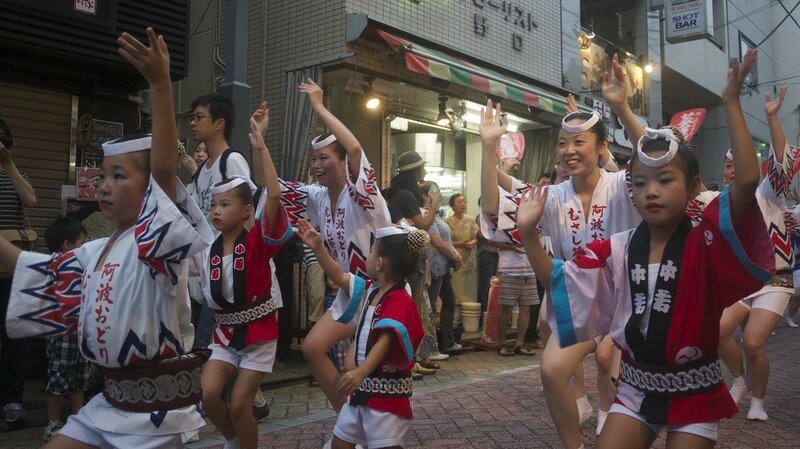 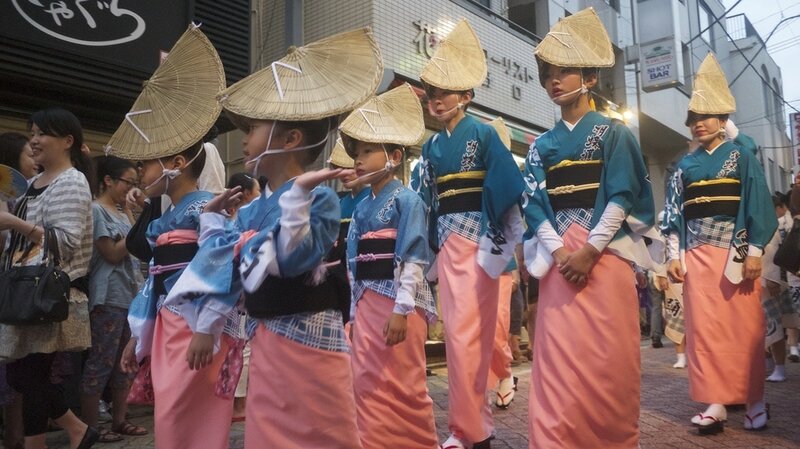 While the clothes, dances and music were almost identical, Koenji’s is on a grander scale with over 10 thousand dancers from 200 groups performing for around 1 million people over 2 days. 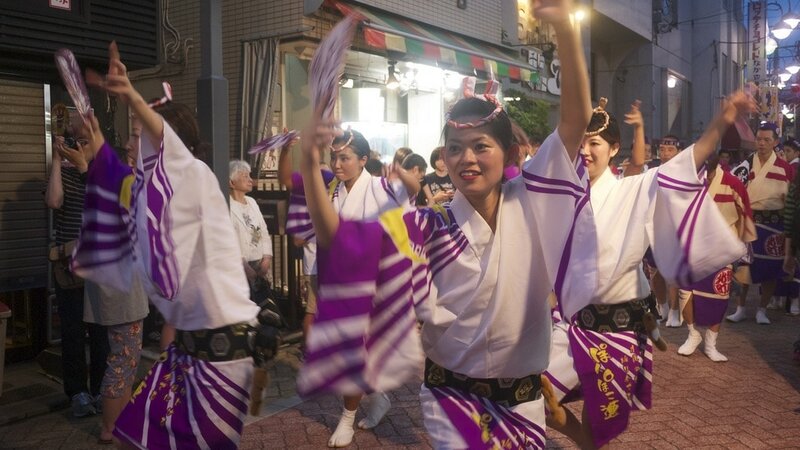 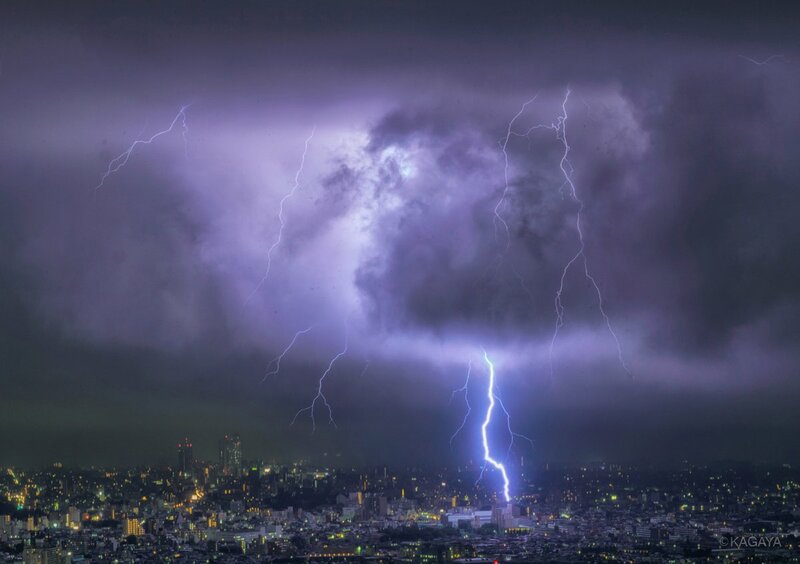 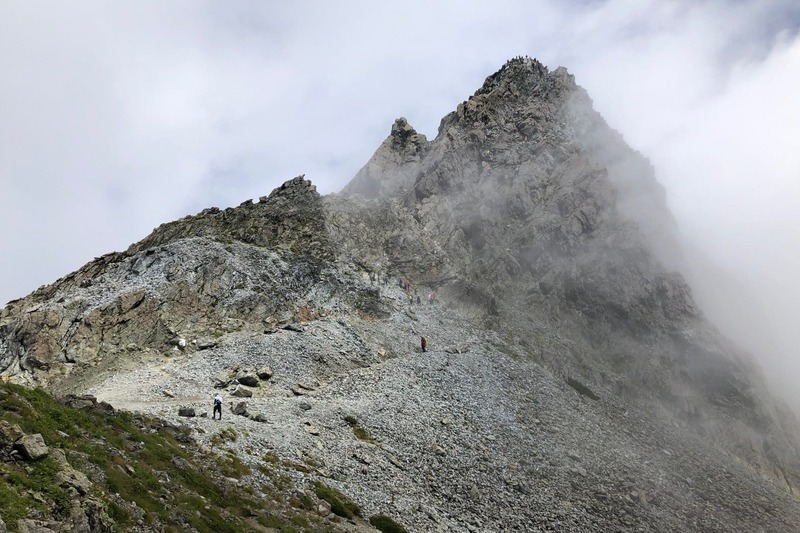 Held annually on the last Saturday and Sunday of August, it’s the biggest event of its kind in Tokyo, and if you dare brave the crowds and the summer heat it’s a truly epic spectacle. 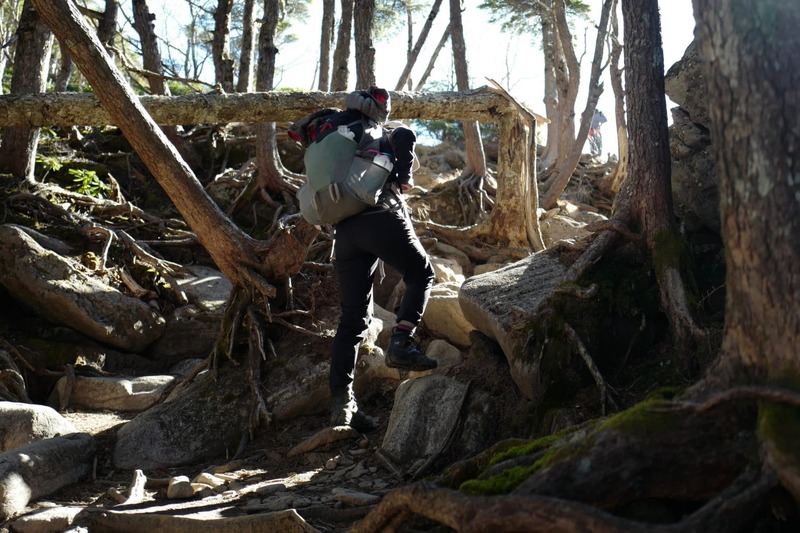 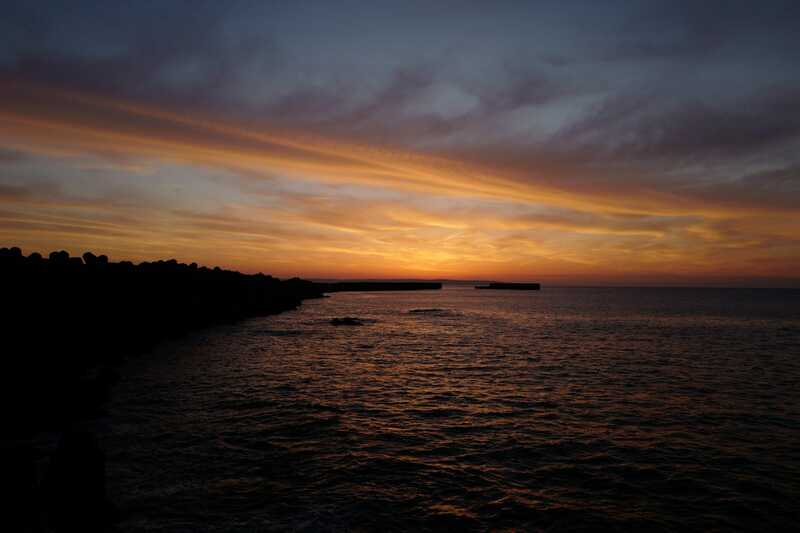 It’s best to arrive early and stake out a good spot before things get crazy busy. 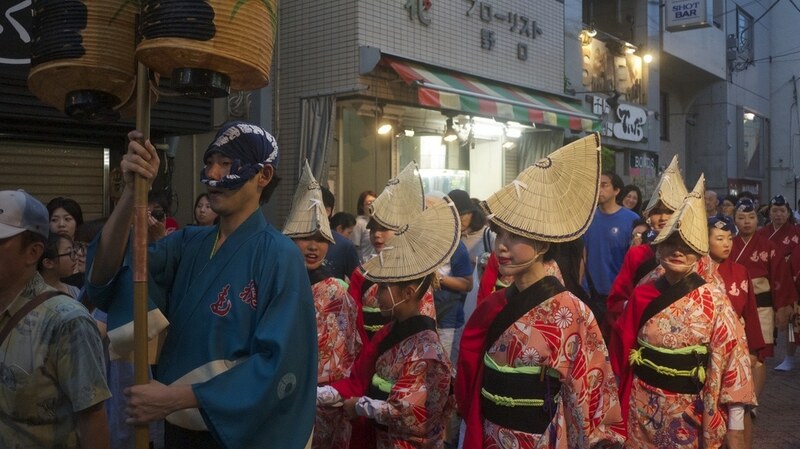 If you need to move later on, the back streets are a far better option as the main roads will be packed. 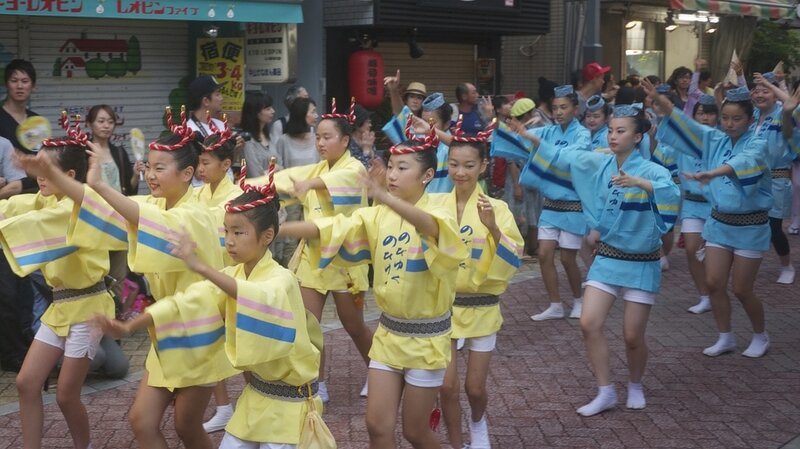 The festival ends with a grand finale in which all the dance teams dance together. 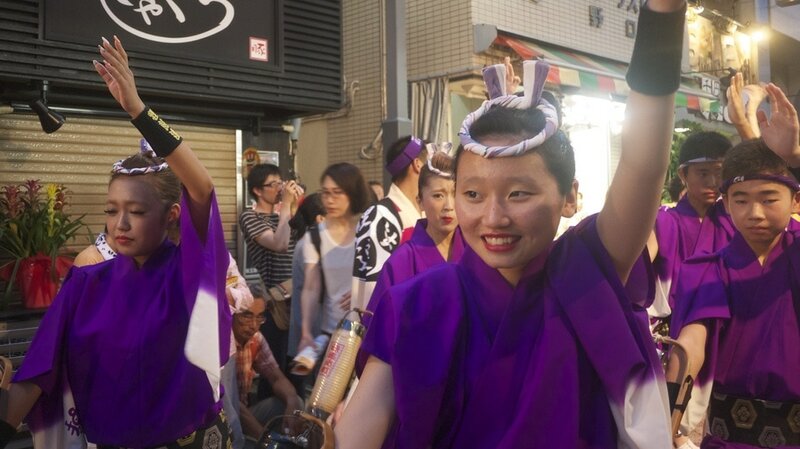 I’m already looking forward to next year!